Former UCF star quarterback Blake Bortles, the No. 3 overall pick in May’s National Football League Draft, signed a four-year contract worth $20.65 million (including a $13.34 million signing bonus). 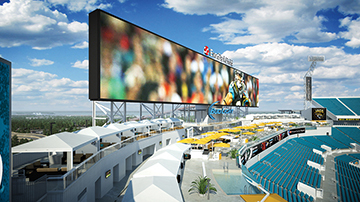 Then his new team, the Jacksonville Jaguars, announced plans to convert 9,500 seats into a two-level party deck with pools and cabanas. Coincidence? Perhaps not. The team hopes Bortles will bring success on the field; the new deck is designed to deliver fun to fans. If both work out, the city of Jacksonville could be the big winner. 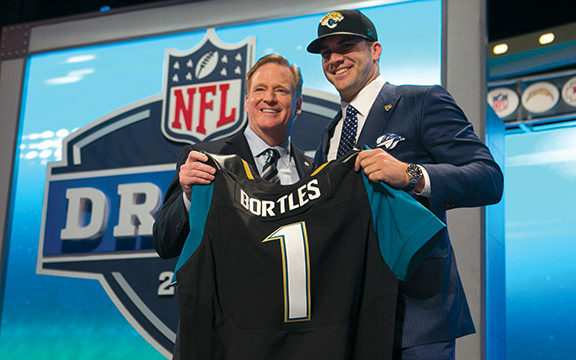 Last year, in a tough season, the Jags scored an estimated $160 million-plus economic impact on the city. Just imagine the effect of more touchdowns on the economic scoreboard.